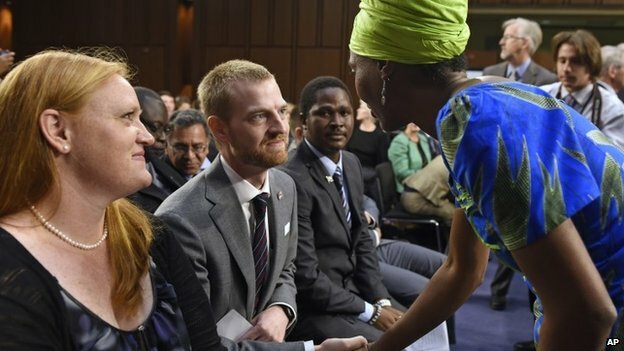 BBC News – President Barack Obama has called the West Africa Ebola outbreak “a threat to global security” as he announced a larger US role in fighting the virus. “The world is looking to the United States,” Mr Obama said, but added the outbreak required a “global response”. Ebola has killed 2,461 people this year, about half of those infected, the World Health Organization said. 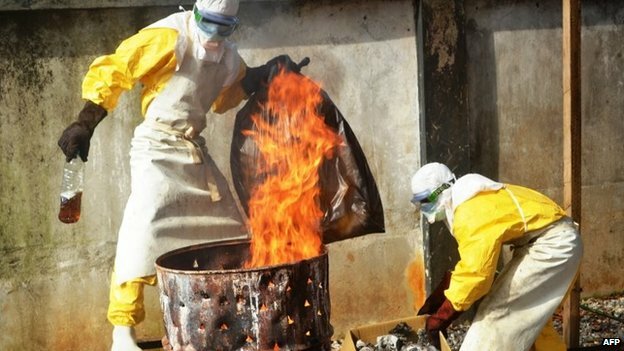 The spread of the disease means the funds needed to fight the outbreak have increased 10-fold in the past month, the UN’s Ebola co-ordinator said, saying it needs $1bn (£614m) to fight the outbreak. Ebola only spreads in close contact but there is no cure and no vaccine. The outbreak began in Guinea before spreading to its neighbours Sierra Leone and Liberia. Mr Obama said the outbreak had reached epidemic proportions in West Africa, as the disease “completely overwhelmed” hospitals and clinics and people were “literally dying on the streets”. “The world knows how to fight this disease. We know if we take the proper steps we can save lives. But we have to to work fast,” Mr Obama said. On Tuesday, a US congressional panel heard testimony from Dr Anthony Fauci, director of the national Institute of Allergy and Infectious Disease, and Dr Kent Brently, who recovered from an Ebola infection after receiving an experimental treatment for the disease. Dr Fauci told the committee 10 volunteers in a separate vaccine study had shown no ill effects from an early stage trial. 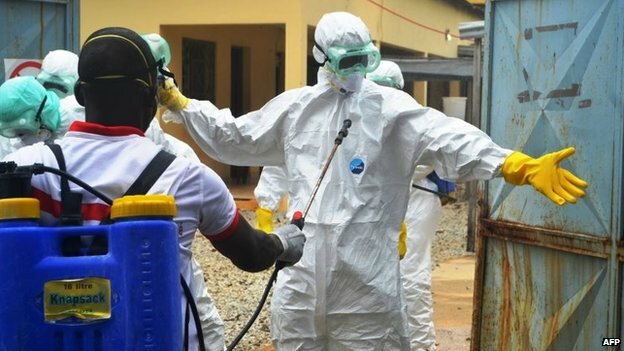 Medical charity Medecins Sans Frontieres (MSF) called on other countries to follow the US lead as the response to outbreak continued to fall “dangerously behind”. At the Ebola briefing, MSF president Joanne Liu said there needed to be “co-ordinated response, organised and executed under clear chain of command”. When the WHO had said it needed the capacity to manage 20,000 cases two weeks ago “that seemed like a lot”, Dr Bruce Aylward of the international health agency said. “That does not seem like a lot today,” he added. Earlier on Tuesday, the WHO welcomed China’s pledge to send a mobile laboratory team to Sierra Leone, which will include epidemiologists, clinicians and nurses. “The most urgent immediate need in the Ebola response is for more medical staff,” WHO head Margaret Chan said in the statement.